Packwire lets you design and order custom boxes. Packwire has an incredible website for a custom box company. That doesn’t necessarily always equate to a strong product, but in this case it does. 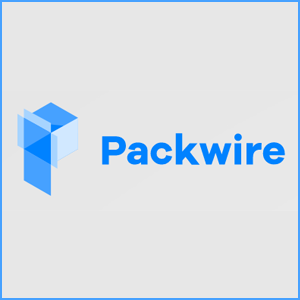 The main reason anyone would use Packwire is to order a custom-designed box, like if you’re starting your own brand and want your packaging to stand out. Still, if you can appreciate innovative web design, the site is entertaining to scroll through. The design is almost strong enough to make me want to order a custom box (the prices are affordable as well, I should mention) even though I don’t have any real reason to do so. As I said, though, Packwire’s product is as strong as its design. The company lets you design your custom box in a 3D viewing space, allowing you to visualize exactly what the end product will look like. 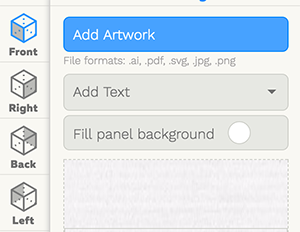 You can add logos, background colors, and upload your own artwork. 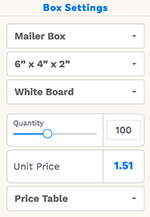 You can also customize other aspects of the box settings and the quantity of boxes as you’re working on your design. You can then quickly check out and order as many boxes as you need. There are several different sizes of boxes, ranging from the small “Folding Box” to the large “Shipping Box.” If you need some custom boxes, or just want to check out a cool, well-designed website, check out Packwire.